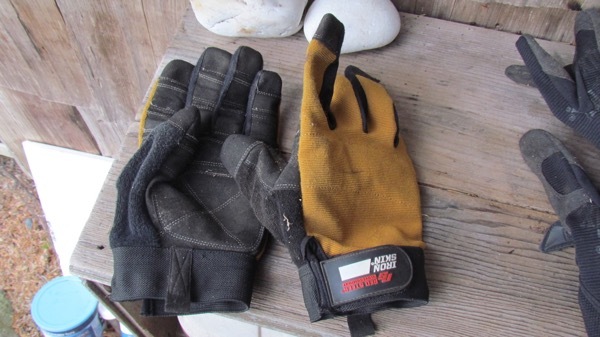 Since we’ve recently covered essential homestead tools (see A Homesteader’s Toolbox and A Good Pair of Goggles to Protect the Eyes, we should probably cover work gloves as well. Two things: Yes, I wear work gloves. Call me a wimp if you’re too manly for gloves yourself, but a) I’m married, and like to make my wife happy, and b) most of our homestead work involves firewood, meaning lots of splinters and pitch. One only takes so many slivers under one’s fingernails before one learns to glove up, and I’ve never heard of a callus that could prevent that. The second thing: I quickly figured out I should split this topic over two posts to cover summer and winter gloves, i.e. 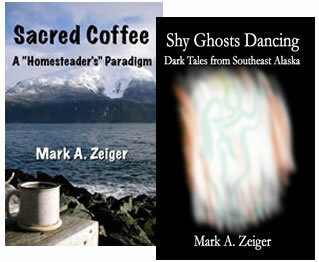 warm weather and cold weather protection. The main problem with work gloves is how quickly we go through them. I’ve become a bit obsessed with finding “The Right Pair of Gloves” in my price range. 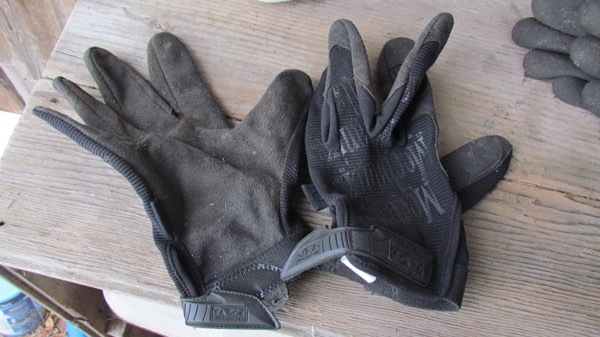 A well-loved, rather expensive pair of work gloves after less than 6 months’ use (Photo: Michelle L. Zeiger). 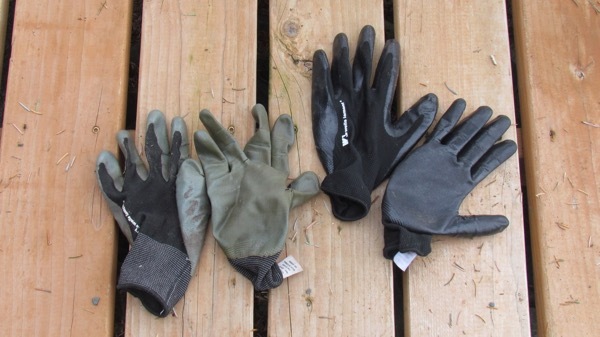 Of the two seasons of gloves we seek, I find it easiest to find summer work gloves. Warm weather gloves need only protect the hands. They don’t have to keep them warm. Cold weather gloves need to physically protect, but also keep the wearer’s hands warm and dry. Also, since warm weather gloves are almost always cheaper, it’s easier to use them up and toss them, moving on to the next pair. Unfortunately, we often find it difficult to find the gloves we liked for sale when we’re ready for the next pair. For this reason, if I find a pair of gloves that works well for me, if possible, I hurry back and buy more pairs as back up. Of course, that means a quick assessment—in that short window, it’s impossible to tell how long the gloves will ultimately last, assuming they’ve lasted long enough to appear worthy of buying more! I’ve found it helpful to buy Wells Lamont nitrile-palmed gloves in bulk. We refer to these as “monkey paws,” because they look like gorilla hands, and are often sold in bundles. I keep a shopping bag full of them in the shed, and find that if I pull out three of them, I’ll have a pair ready to use whenever necessary. 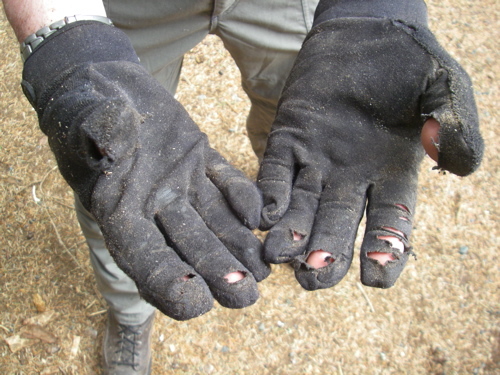 Wells Lamont “monkey paw” gloves, particularly good for lighter work, greasy work, and foraging (Photo: Mark A. Zeiger). These “monkey paws” keep my hands clean and less damaged, but I run through them fairly quickly, so I keep looking. Lately, I’ve found The Red Steer Glove Company’s Iron Skin series rather reliable. I’m about to enter my second summer with a couple of those pairs. Also, Mechanix Wear offered a glove that fits like a pair of driving gloves, but keeps my hands fairly safe. Red Steer Glove Company Iron Skin gloves, my current favorite (Photo: Mark A. Zeiger). Mechanix gloves, nice and light, but so far, pretty sturdy (Photo: Mark A. Zeiger). As I said above, warm weather gloves are easy. My problem comes when I try to find cold weather gloves, which I’ll discuss next time.